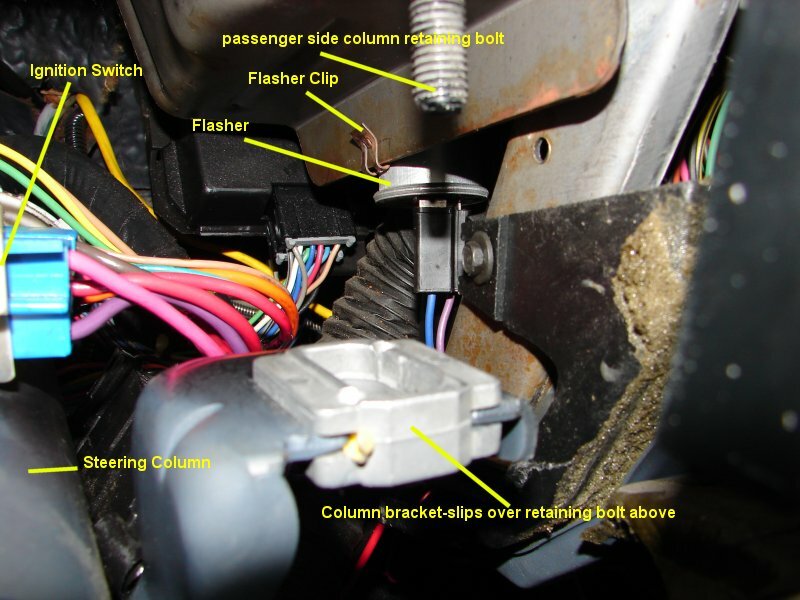 The turn signal flasher is clipped to the edge of the upper steering column bracket. Don't confuse this flasher with the Hazard flasher that plugs into the fuse block. It is easiest to get to the turn signal flasher if one removes the dash trim piece that goes around the column, and, then drops the column down. This enables one to simply reach in and grab the flasher as compared to laying in the floorboard and trying to locate it looking up thru a maze of wires, etc.